By Fr Larry Schneider. 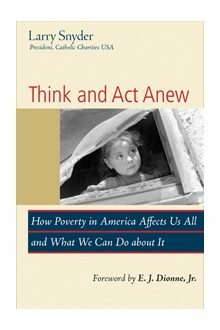 Describes the wide-ranging effects of the enduring issues of underemployment and unemployment, hunger and hardship, provides the United States with an opportunity to think and act anew in dealing with the interminable issue of entrenched poverty in the world’s wealthiest nation. Read more.